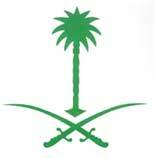 The emblem of the Kingdom of Saudi Arabia consists of a date-palm under which lie two intersecting scimitars. The date-palm was selected because the Kingdom is rich in these trees of which there are several million different varieties. The palm-tree plays a vital role in the life of the inhabitants of the Arabian Peninsula. 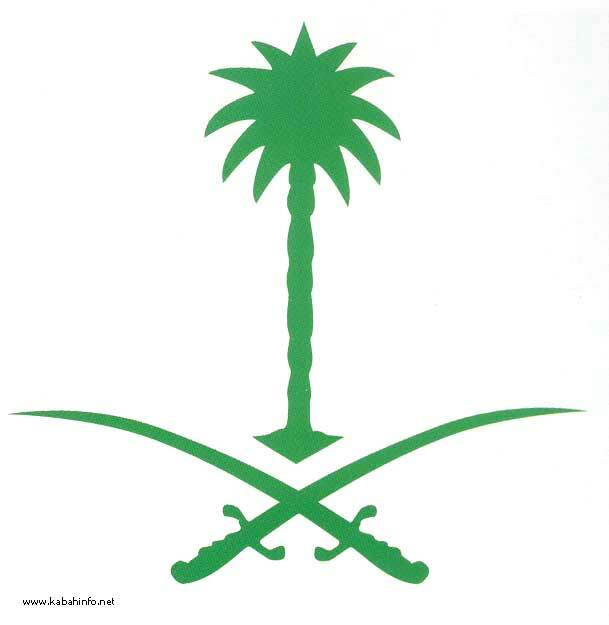 The palm-tree in the middle of the two intersecting swords symbolizes that prosperity comes only through justice. 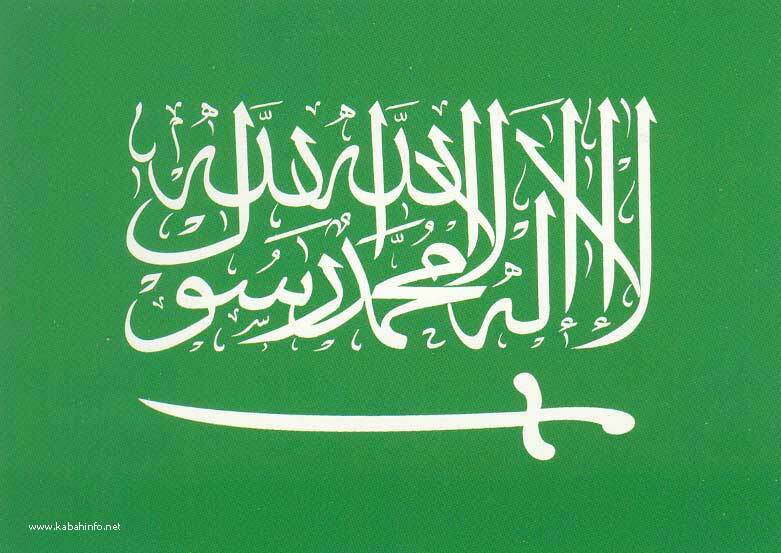 The Nation flag of the Kingdom of Saudi Arabia. The Arabic letters written "There is no god but Allah, Muhammad is the Messenger of Allah. " 2. Preservation and protection of Islamic rituals. and the welfare of humanity. condemnation of foreign invasion and aggression on other countries. The Kingdom treats other countries with equality and mutual respect. It also supports national liberation movements, and countries striving to release their occupied territories and gain self-determination and independence. The Kingdom is a member of the NonAligned Group of Nations, and rejects joining an military pacts. It is also a member of the Organisation of Petroleum Exporting Countries (OPEC), and the Organisation of Arab Petroleum Exporting Countries (OAPEC) The Kingdom has contributed effectively towards the determination of the price of oil and its level of production. The Kingdom pursues a moderate policy away from extremism in the field of petroleum and it is actively concerned with the stability of the world economy and maintenance of a good standard of life for the world population. It donates a high percentage of its national budget to assist poor and underdeveloped countries. It established a special fund to grant loam and developmental aid to the countries of the Third World. It increased its contributions in the International Monetary Fund and other international monetary agencies to enable those funds to meet the loans requested by developing countries.